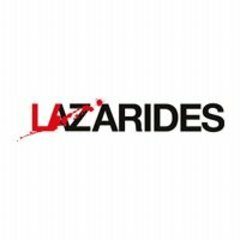 Lazarides encompasses gallery spaces in London’s Soho, nearby Charing Cross, Newcastle, and, of course, this website. We are the primary source of original artwork and prints for Jamie Hewlett, Antony Micallef, Faile, Stanley Donwood, Mode 2, Paul Insect, Kelsey Brookes, Conor Harrington, Invader, Ben Turnbull, Mark Jenkins, 3D, Jonathan Yeo, Lucy McLauchlan, Miranda Donovan, Zevs to name but a few. Having operated for many years outside of the ‘conventional gallery system’, we now have several de facto galleries but do our best to remain unconventional. Nonetheless, the art we sell certainly continues to defy categorisation as ‘graffiti’, ‘graphics’ or ‘street art’. We represent photographers, sculptors, agent provocateurs and even taxidermists. We’re honestly happy for you to call our pieces what you want: but we’ve recently appropriated the label ‘outsider art’. Like the proponents of the original ‘outsider’ and Art Brut movements, many of our artists aren’t formally trained. They draw heavily upon their own imaginations and popular culture. Plus a lot of their work goes on outside. Our new spaces at Charing Cross Road consist of the Print Room (also selling many three-dimensional and sculptural pieces), and a ground-level space 121 Charing Cross, showing a permanently revolving group show. The site formerly sold celebrity photography. These are also open to the public during normal shopping hours. Our private space on the top floor of Charing Cross Road is available to view by appointment. The original Lazarides gallery is situated at 8 Greek Street in London's Soho, on the site of a former dealer in sadomasochistic paraphernalia. We've restored the original antiquarian shop front, but our lower floor retains its neon sign saying ‘the dungeon’. The gallery is completely open to the public and we encourage admirers of our artists to browse exhibitions at their leisure. We are ecstatic to have opened premises outside of London in Newcastle opposite the Baltic Gallery. This large new space opened in late November 2007 with a group show unveiling new work from over 20 artists, including Newcastle-based Candice Tripp. The Newcastle gallery has since showcased completely new solo exhibitions and installations created in the gallery by David Choe, Conor Harrington, and Dave Kinsey.